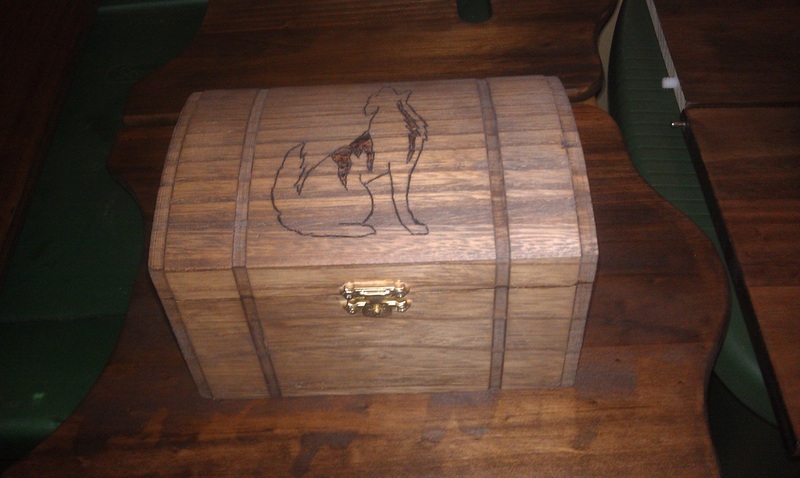 6 1/2" x 4 1/2" x 4"
Curved top box with a modified scrollsaw design of a howling wolf. 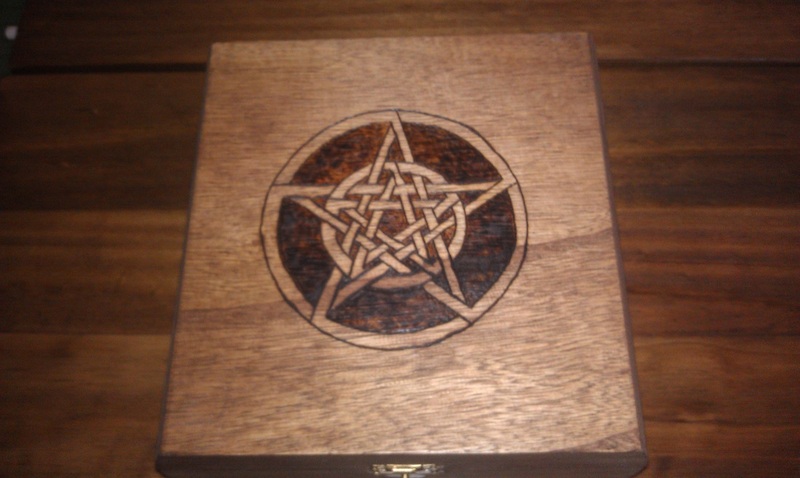 Flat box with braided pentagram design hand-burned on top. English walnut stain. 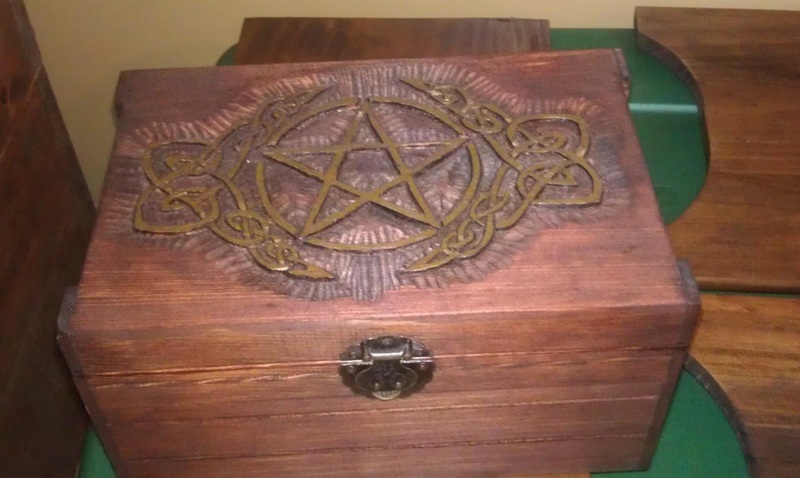 10" x 6 1/2" x 5"
Hand-carved pentagram surrounded by carved knotwork frame. Gold hi-lites on pentagram. Stained Red Mahogany. 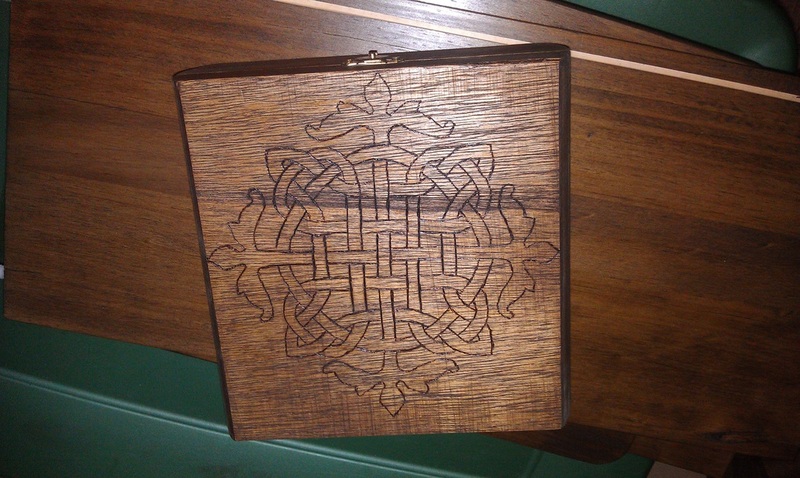 A blanket chest similar to the one featured on the Home page, but with a different, hand-burned design -- a castle by the sea with a dragon sleeping out front. Nearing completion. 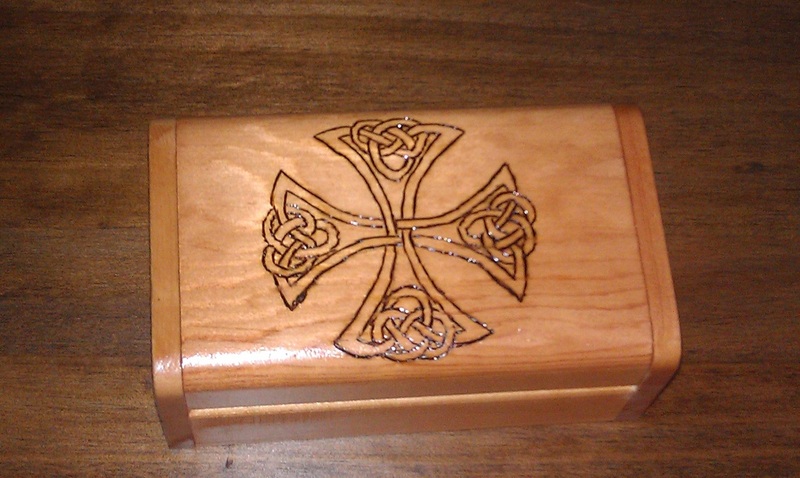 A smaller, hand-carved chest with Native American Thunderbirds on the front and a carved knot on top. Pics coming soon.